The Automotive Loyalty Awards by IHS Markit are the only fact-based awards in the industry focused on owner loyalty. Awards are based on actual consumer transactions and information obtained from state registration and lease transaction information. The Automotive Loyalty Awards by IHS Markit are presented annually to OEMs and brands that demonstrate a manufacturer's ability to retain owners over repeat buying cycles. Loyalty is determined when a household that owns a new vehicle returns to market and purchases or leases another new vehicle of the same make, model or manufacturer. For the 2017 model year, 34 winners were honored for automotive loyalty and conquest efforts at the Automotive News World Congress held in conjunction with the North American International Auto Show (NAIAS) in Detroit. IHS Markit analyzes loyalty throughout the year and regularly works with its customers to effectively manage owner loyalty and conquest efforts through in-depth research and analysis of automotive shopping behaviors, related market influencers and conquest and retention strategies. This year's awards are based on an analysis of more than 17.5 million new vehicle registrations during the 2017 model year, which ran from Oct. 1, 2016 through Sept. 30, 2017. The following is a complete list of the 2017 Automotive Loyalty Award Winners by category. 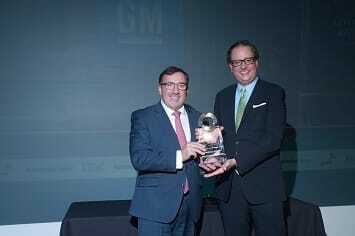 David Flynn, Vice President - Automotive, IHS Markit, presents the 2017 Model Year IHS Markit Automotive Loyalty Award for the Overall Loyalty to Manufacturer category to Alan Batey, President of General Motors North America. 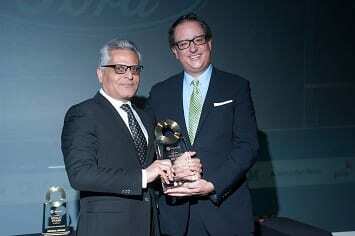 David Flynn, Vice President - Automotive, IHS Markit, presents the 2017 Model Year IHS Markit Automotive Loyalty Award for the Overall Loyalty to Make category to Kumar Galhotra, Group Vice President, Lincoln and Chief Marketing Officer for Ford Motor Company. 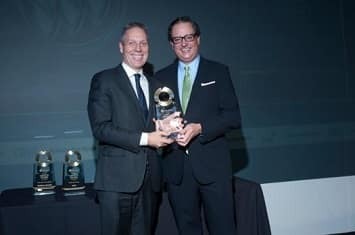 David Flynn, Vice President - Automotive, IHS Markit, presents the 2017 Model Year Automotive Loyalty Award for the Most Improved Loyalty to Make category to Phil Brook, Vice President Marketing - Buick & GMC. 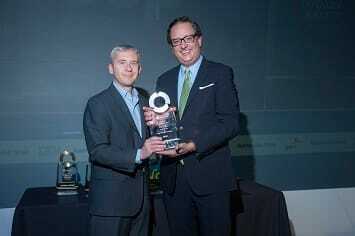 David Flynn, Vice President - Automotive, IHS Markit, presents the 2017 Model Year Automotive Loyalty Award for the Highest Conquest Percentage category to Scott Tallon, Director, Jeep Brand. 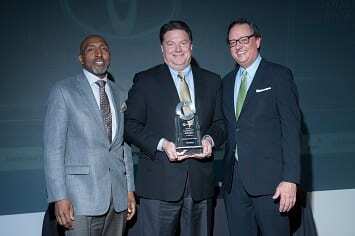 David Flynn, Vice President - Automotive, IHS Markit, and Marc Bland, Vice President of Diversity and Inclusion, IHS Markit, present the 2017 Model Year IHS Markit Automotive Loyalty Award for the Highest Ethnic Market Loyalty category to Ed Laukes, Group Vice President of Marketing for Toyota Division. 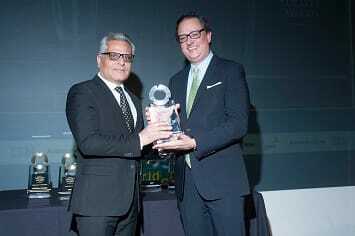 David Flynn, Vice President - Automotive, IHS Markit, presents the 2017 Model Year IHS Markit Automotive Loyalty Award for the Most Improved Super Loyalist Loyalty to Make Award category to Kumar Galhotra, Group Vice President, Lincoln and Chief Marketing Officer for Ford Motor Company. 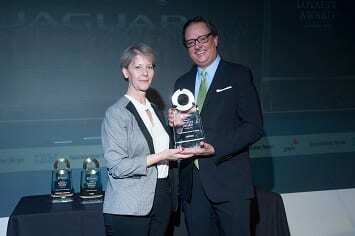 David Flynn, Vice President - Automotive, IHS Markit, presents the 2017 Model Year Automotive Loyalty Award for the Most Improved Conquest Percentage category to Michelle Dailey, Jaguar Land Rover Market Manager / Michigan and Ohio.